This story is not about avoiding death. Itâ€™s about living life. 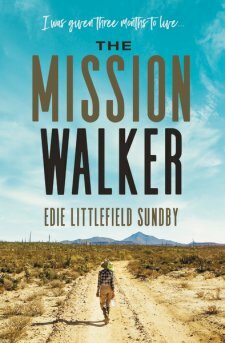 Immerse yourself in the amazing story of Edie Littlefield Sundby, who, after being told she had only 3 months to live, survived 79 rounds of chemotherapy, radical liver and lung surgeries, and then walked 800 miles along the California Mission Trail, averaging 14 miles a day, and stopping at life-giving missions to revive her body and her soul. When she finished she yearned to walk the mission trail from its start â€“ in Mexico. But no one had traversed that trail in 250 years. As you will learn in the pages of this book, Edie doesnâ€™t care about what some deem impossible. It is that spirit that has allowed her to live, despite the odds. With fading strength and only one lung, she walked another 800 miles through the rugged mountains and deserts of Baja Mexico to the California border. 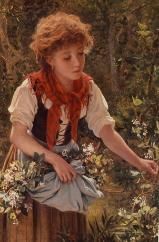 In a walk of triumph, of harrowing adventure, and of spiritual enlightenment, she carried her mortality in every step and in the process opened up a profound communion with God and his creation, and the true meaning of life. And all of this with a terminal cancer that was chasing her every step of the way. It still is, and she continues to walk with it every day. For me, walking is a transcendent physical, emotional, and spiritual experience, like dancing. “If I can move, I am not sick.â€ That is my alternate reality. And I believe with all my will in that reality. So when cancer strikes again and again, I walk to stay alive. Life is the greatest adventure there is. Why stop our adventuring because someone says the end might be near? For those who crave a spirit of adventure, who ache like Edie to know what our bodies and spirits are truly capable of, this book is a must-read. A true testament to faith, courage, and the power of hope. I had mixed opinions about this book.Â I’d have to give it an average – it’s OK – three stars. One one hand, I liked it because it’s a story of setting out after a goal and pursuing a dream despite all odds and who doesn’t love a story about overcoming?Â I also appreciated the history that I learned on Edie’s journey as she included her research and imagination about the priests and their work in all of the missions that she visited in California and Mexico. What I struggled with in this book were the connections and the assumptions. First, let’s talk about the connections.Â The first quarter, or maybe even third, of the book was given over to the story of cancer and the struggle of treatment.Â I’ve had more than my fill of medical scenarios in my own life and I don’t really enjoy reading about them so I could have skipped that part.Â Yes, the cancer set the stage for the walks, but the proportion of time given made cancer as much of a theme of the book as the walks themselves, which wasn’t something I was expecting based on the book’s marketing.Â And though we are often reminded even through the end of the story that another appointment is upcoming there is absolutely no wrap up to the medical aspect of the story, no report on the long awaited and much talked about appointment, no two sentences to give an update at the time of the books publishing.Â Instead the theme that is such a predominate part of the book is left hanging.Â As a reader I expect that if you take me along on your journey you will at least have the courtesy to not drop me off before the destination that you have been pointing me toward. And the assumptions…I found myself concerned with many of Edie’s viewpoints. I struggled with the viewpoint that being at home and hanging out with family and enjoying the simple things isn’t really living life.Â I love a grand story or an epic experience as much as anyone, but I don’t think they are the measure of whether you are really living. I also struggled with her desire to push through, overcome and fulfill a dream in contrast to the lack of honor she gave to her body including not stopping for days of rest.Â I recognize that she made choices that were all her own, but IÂ personally had a hard time enjoying aspects of her journey when they seemed so contrary to values that I hold.Â I love stories of pilgrimage, but I guess this book showed me that I really do have my own opinions about good and not as good ways to go about a pilgrimage. But all in all, I’m glad I read the book.Â A tale of pursuing something you are passionate about no matter the cost is one worth reading.Â And Edie’s story is certainly one of passion.